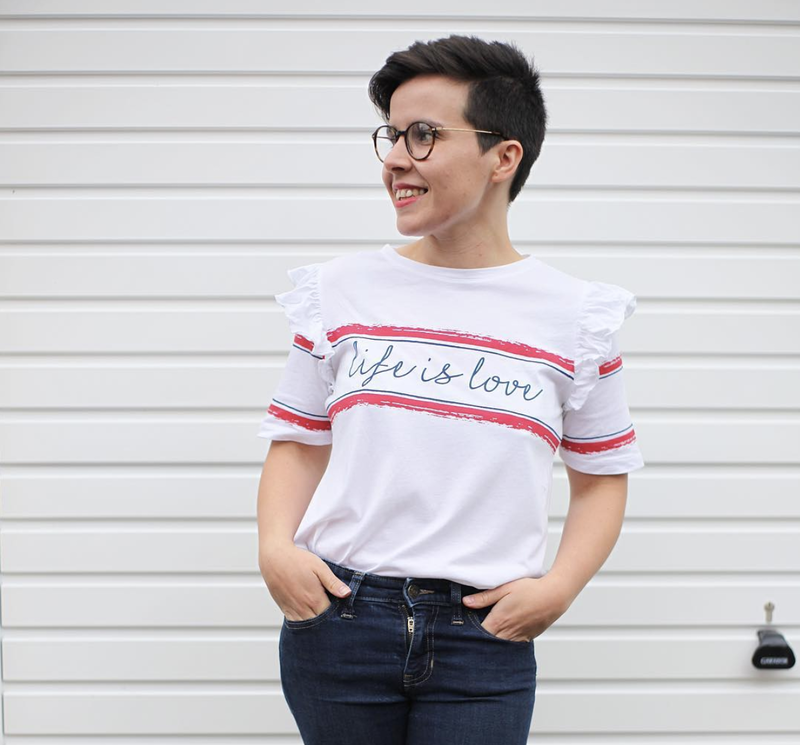 We love nothing more than checking out new places to eat in and around Cardiff, with breakfast and brunch being our favourite time of the day. 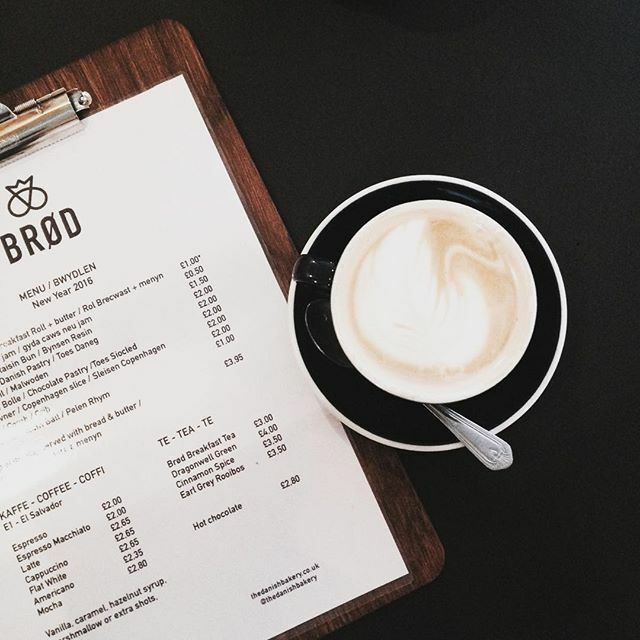 We were at a lose end one Sunday morning and as we are planning a trip to a northern European country next month (more to come about that) we thought it was time to pop into Brod, a Danish inspired bakery in the heart of Pontcanna. 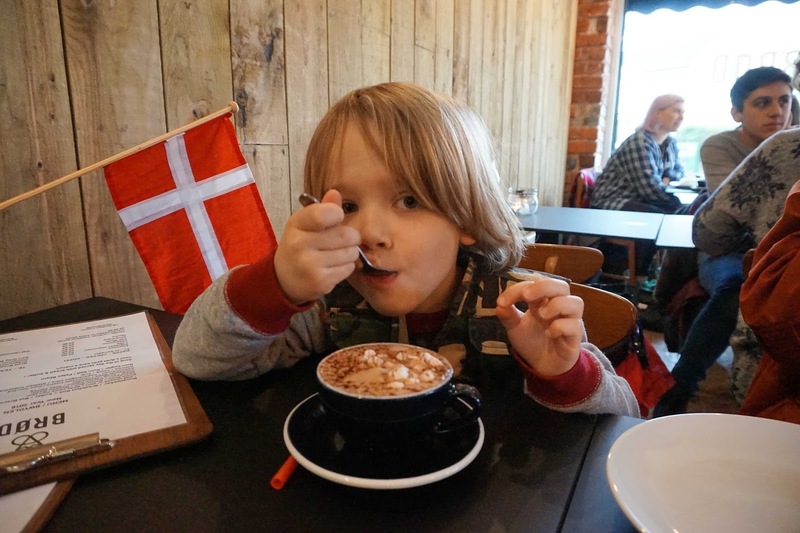 The simple and stylish scandi interior is welcoming as is the staff and even in the morning there is a buzz around the place with nearly all the tables taken, luckily we managed to find a spot for all four of us while we decided which baked delight to try. The menu is very simple and uncomplicated and everything is baked fresh on site. I opted for a Flat white while and as a real treat Mr A indulged in a warming hot chocolate. 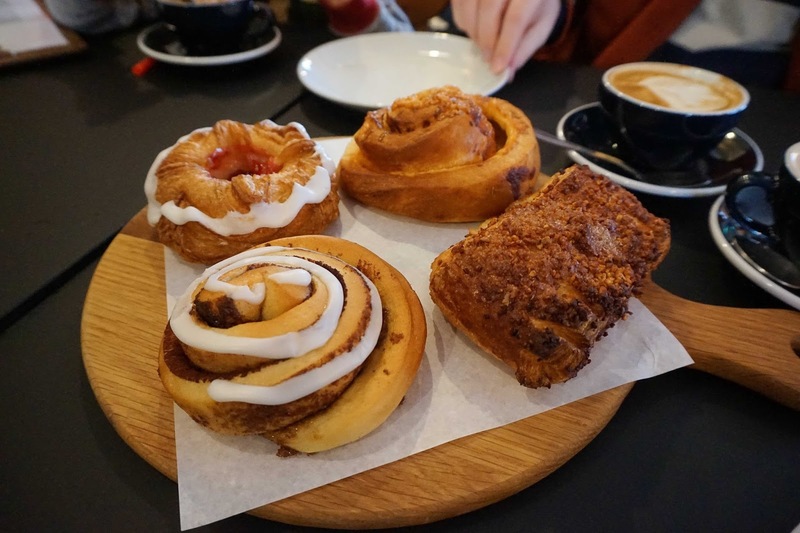 We decided to share a few different pastries including a Danish pastry of course and Copenhagen slice as well as their savoury tomato swirl which Baby G wolfed down. They had some kids books on hand as well as highchairs, making families feel welcome although this is equally a good spot for any age and with all the natural light flooding in from the windows, warm freshly baked treats and artisan coffee this is a fantastic place and we will be back very soon. I love going out for a coffee and a treat with the family. It's a lovely way to spend a rainy afternoon if you've been stuck in doors for a while. Wow these pastries look gorgeous glad you had fun and the video was cool too! This looks amazing... 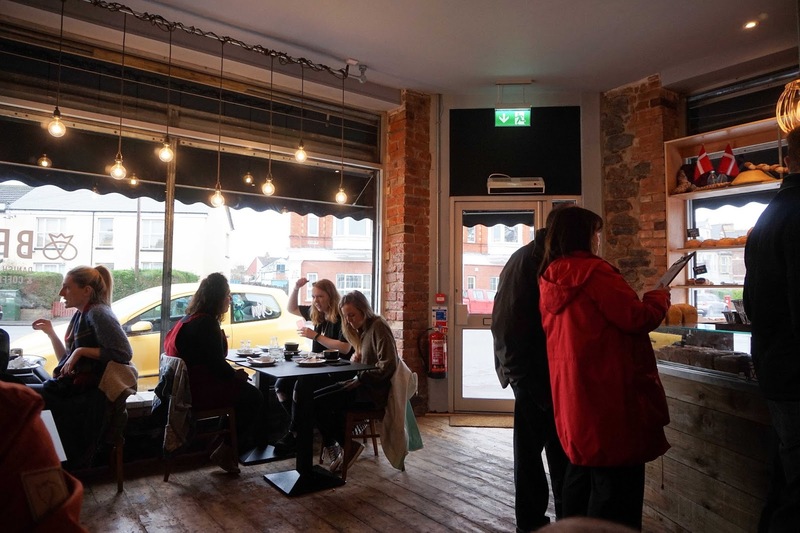 I always 'Ohhh' and 'Ahhhh' whenever I'm in Pontcanna, it all looks so quirky and interesting!